The U.S. exported so much gold over the past three years, it suffered a deficit large enough to equal two years worth of its domestic mine supply. 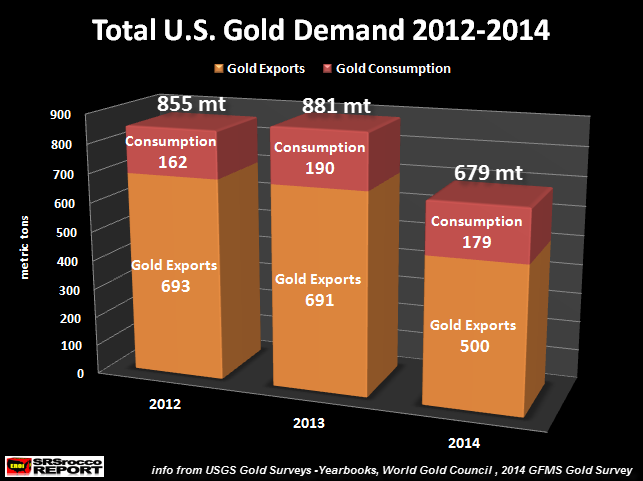 As the death of the world’s reserve currency grows closer, the U.S. continues to export one hell of a lot of gold. Matter-a-fact, the U.S. exported so much gold over the past three years, it suffered a deficit large enough to equal two years worth of its domestic mine supply. This should be no surprise to precious metal investors as 99% of Americans continue to believe DEBTS are ASSETS. I mean, why should Americans invest in the barbarous gold relic when their wealth comes much easier via their monthly retirement statement? Sure, their retirement balance continues to go down each month, but this is just a mere setback. Nothing to worry about, especially when they vote in Donald Trump as President…. double and triple digit gains for everyone. Well, that sounds real nice until you look under the U.S. Financial hood and see what’s going on with the Federal Reserve Motor. I would recommend anyone who hasn’t seen the video by John Titus at Best Evidence called, Fed Audit Shocker: They Came From Planet Klepto… to watch it several times. Not only did the Fed purchase worthless Mortgage Backed Securities from top Banks for $1.7 trillion, Titus believes the Fed has understated the amount of U.S. Treasuries on its balance sheet. Titus plans on putting out another video showing how much more Treasuries the Fed may have on its balance sheet… but are not publicly stating. 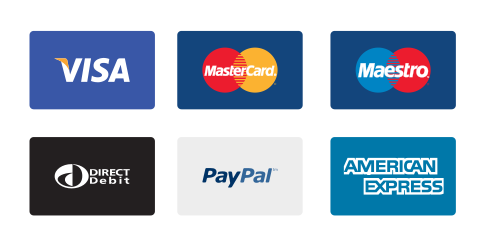 The world is waking up more each day to the massive amount of fraud taking place at the Fed and its member banks. At some point, the Dollar will lose its reserve currency status, thus waking up Americans from their 45 years of Gold Amnesia. You will notice that total annual U.S. gold supply was lower than total annual gold demand each year during the three-year time period shown above. The peak annual deficit was in 2013 as total gold supply of 650 metric tons (mt) and total gold demand of 881 mt resulted in a handsome deficit of 231 mt. 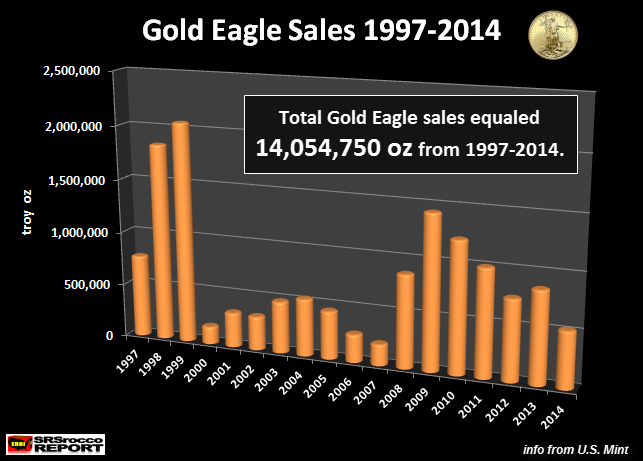 As we can see, the U.S. Gold Market deficit equaled all Gold Eagle sales since 1997. Another important takeaway from the chart above is the huge increase in sales when investors are worried about the financial system. This occurred in 1998-1999 due to the supposed Y2K scare and in 2008-2009 when Americans thought the U.S. market and banking system was imploding. 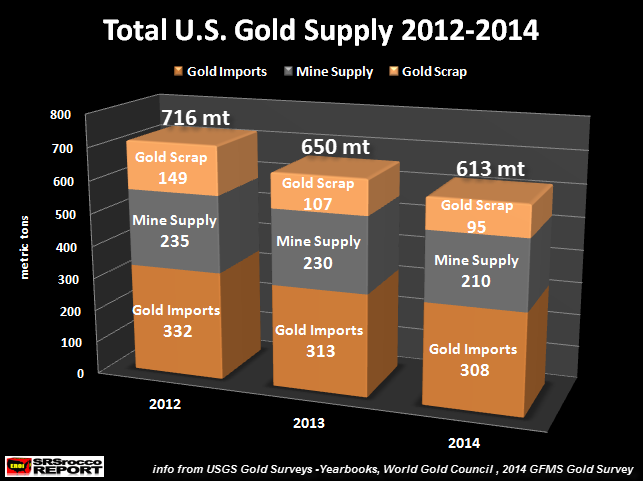 The United States produced 230 metric tons (mt) of gold in 2013 and 210 mt in 2014 for a total of 440 mt. 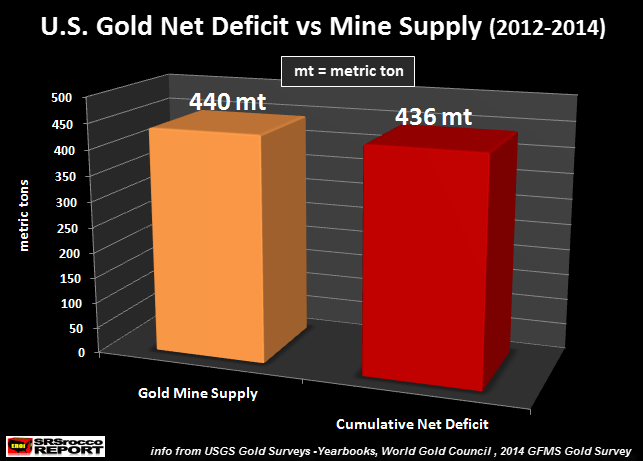 The total U.S. Gold Market cumulative net deficit from 2012-2014 was 436 mt. 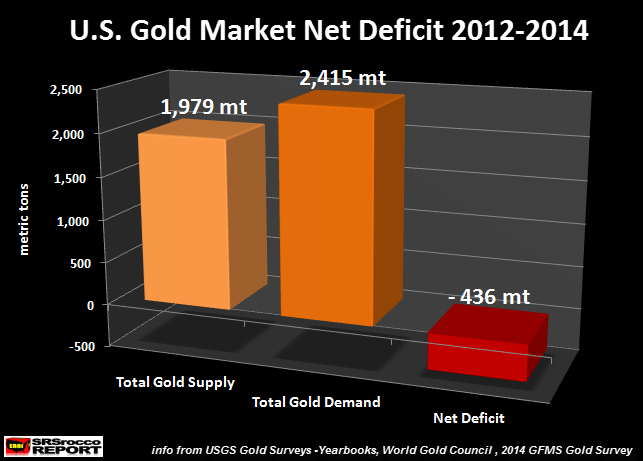 Thus, gold from institutions, banks or the looting of the GLD ETF, was necessary in order to supplement this massive 436 mt U.S. gold deficit. Unfortunately, the Eastern countries continue to import record amounts of gold while Americans hope and pray that their paper assets hold their value. This is the reason we see the Fed and U.S. Treasury propping up the entire Bond & Stock Market. Once the popping of the Great U.S. Ponzi System occurs, you can bet your bottom Silver Dollar that the safest assets to own are precious metals and not highly inflated $24.7 trillion U.S. Retirement Market.